Once in every century, for three days only, the Market comes. 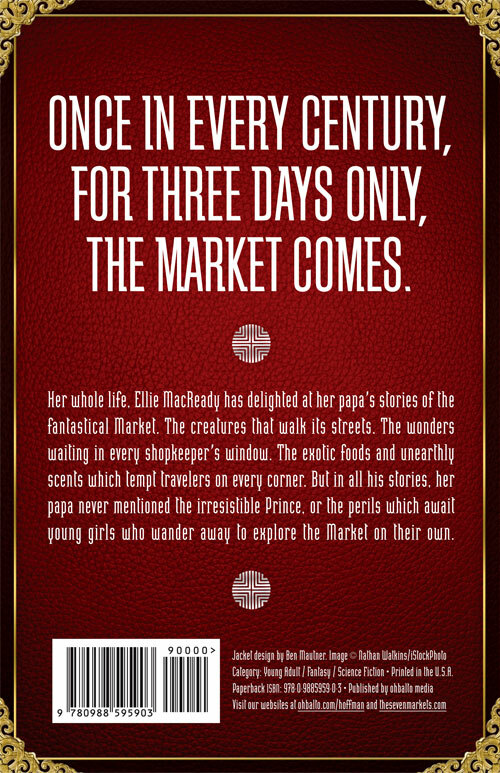 Her whole life, Ellie MacReady has delighted at her papa’s stories of the fantastical Market. The creatures that walk its streets. The wonders waiting in every shopkeeper’s window. The exotic foods and unearthly scents which tempt travelers on every corner. But in all his stories, her papa never mentioned the irresistible Prince, or the perils which await young girls who wander away to explore the Market on their own. Now Ellie will find herself fighting not only for herself, but to save the people she loves. A melding of fantasy and science fiction, The Seven Markets is the first book in an ongoing series about Ellie MacReady and her journey from her pastoral village, through the winding streets of the Market, and into the far-flung future. 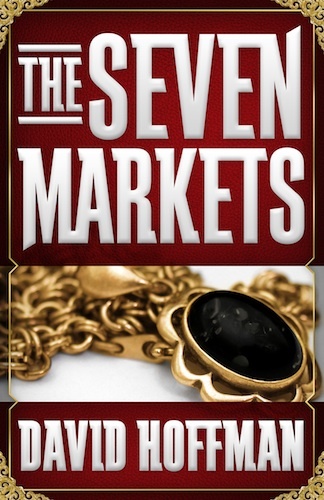 "Imaginative, thrilling, and original, The Seven Markets is the most creative book I've read this year. Though it focuses on the main character, Ellie, every chapter was different and I didn't know what to expect next, which is what I loved about it." "Mr. Hoffman has created a world that is at once detailed enough that the words dance off the page and through your imagination, yet vague enough that it leaves you with a sense of wonder through nearly the entire experience." "The Seven Markets is like nothing I've read before. The novel, like the Market itself, is full of endless wonders, but it is also tightly constructed. As a reader you never know what will happen next." "I can honestly say I’ve never read anything like this before. The title and premise of the book tickled my curiosity and led me to believe that I’ll be taken on a fantastical journey through vibrant, mysterious markets like none other."